A mask sheet that leaves skin radiant and illuminated instantly. 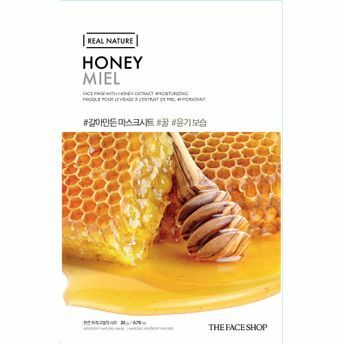 With honey extracts, the all new Real Nature Honey Face Mask by Face Shop is here to transform your skin! Fight signs of fatigue and lack of nutrition with Honey Face Mask and give your skin that extra glow. The rich extracts with nourishing properties, reveal younger looking invigorated skin. So ladies, this is a mask we absolutely swear by. Are you ready for gorgeous skin days? We think so!